Security is one of the biggest concerns for individuals and businesses. Fires, carbon monoxide poisoning, theft are just a few of the many dangers from which we unfortunately have to protect ourselves. According to the SPVM, Montreal has an average of twenty break and enters per day. Surveillance cameras, alarm systems and detectors are possible solutions, but they’re all missing one important feature: automation. Simply forgetting to activate your security system when leaving the house can invite potential danger. 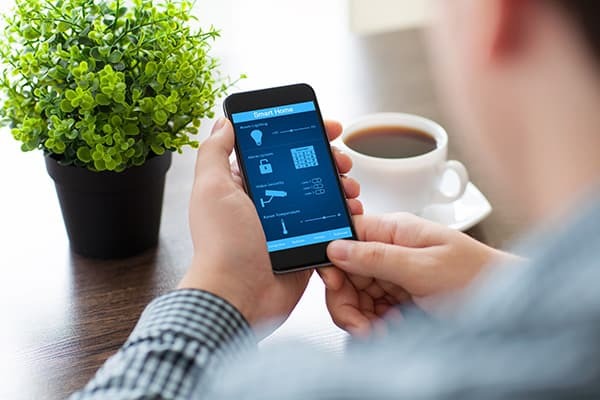 By offering smart solutions, smart security systems fix this issue and give you real peace of mind. There’s only one protection solution that gives you full control of your security system: automation. Rather than having to manually activate and de-activate your alarm, you can now leave the system to manage itself automatically. Ever in a hurry and forget to activate your alarm? It won’t happen again. Instead, you can create your own scenarios according to your lifestyle and routine. Let us install your new security system, and experience what freedom really feels like. And that’s not all. Now that we’ve addressed your protection against the outside world, what about indoor risks? By installing smoke, gas or water leak detectors, you can now be warned of any damage that occurs during your absence, and contact the appropriate services. No need to worry when you’re away. Your smart house will be able to take care of itself. 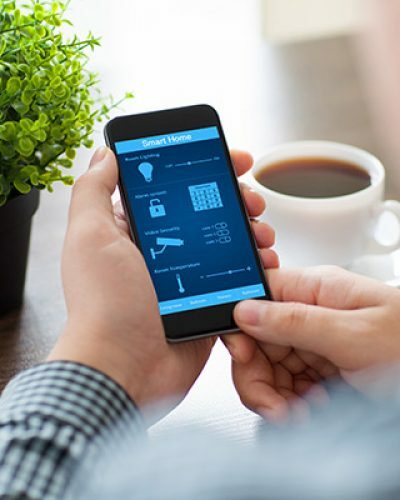 How much does a complete smart security system cost? Many factors need to be considered when evaluating costs, including the total surface area that needs to be protected and the number of elements to be installed. It’s important to note that all our installations are well thought out in advance in order to be the most aesthetic possible, thanks to our excellent designers. In addition to getting a high-end smart security system, you can also enjoy an added modern charm to your home. How long will my installed system last? High durability is one of the critical features we prioritize when selecting our equipment. On average, our clients can keep their systems for many years without making a single modification. The answer is no. Câble&Son seeks to simplify the lives of its clients, so it is critical that all our systems are user-friendly. The control system is accessible from your phone or any other smart device. If you’re not convinced, we invite you to come visit one of our locations. You’ll be able to test our systems and the smart home experience for yourself. 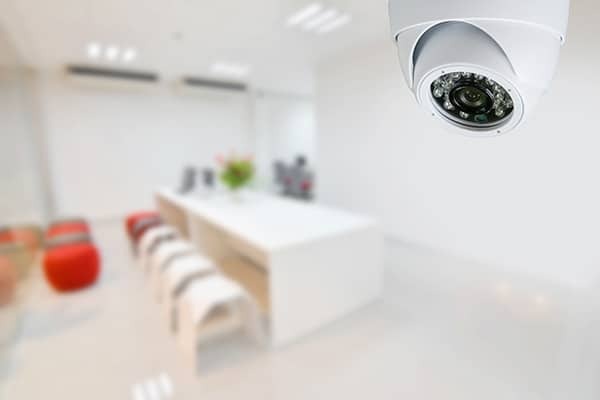 An effective security system is often a prerequisite for a successful business, especially considering the valuable inventory that many businesses stock and that needs to be protected against theft. Our smart security systems are made for professionals and managers that are concerned with the safety of their spaces and offices. As with residences, we offer a number of completely automated security solutions for businesses. 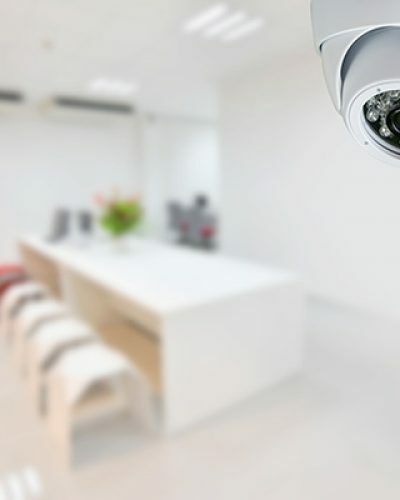 For owners of restaurants, bars or clubs, an effective security system with surveillance cameras, alarm systems and various detectors will allow you to increase the safety of your establishments. For institution leaders, our smart lock systems can simplify the management of building access. In offices and companies, a security system will protect you against intrusions. You’ll be able to automatically control the comings and goings of your employees, without the need for keys. What we offer is simple: a security system that fits—not infringes on—your lifestlye. Why complicate things when we’re here to simplify them for your enjoyment? Thanks to the professionalism and rigorous workmanship we’ve been offering since 2002, we haven’t stopped growing. Want to have your own practical and fool-proof smart security system? What are you waiting for? Contact us.